In 2009, Usain Bolt "shattered" Tyson Gay's world record in the 100-meter dash by a whopping .11 seconds. How do we know that? Because an ultra-precise, automated timekeeping machine told us so. It didn't used to be that way. Olympic officials wisely relinquished control over the clock long ago, but once upon a time a guy held a stopwatch in his hand and started and stopped it to the best of his ability. 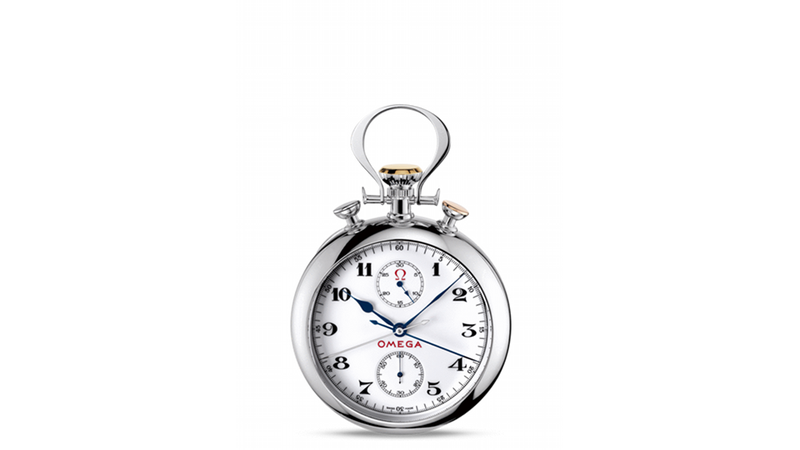 Omega has been the official timekeeper for the Olympics since 1932, and the Olympic Pocket Watch 1932 above is a replica of the watch used that year. It keeps the regular time of day, and has a built-in stopwatch operated by the start and stop pushers on top.